They look fantastic. I’ve always thought that a really good sausage is better than steak. I think that the sausage’s reputation has been servery damaged by the lousy sausages (“offal tubes” would be a better description)sold by so many supermarkets. Only a question … why did I open my feed-reader before spleep? A meat grinder also makes awesome hamburgers. I’d highly recommend getting one. I’m reading this at breakfast time. By this afternoon it’s gonna be sausage on the grill! 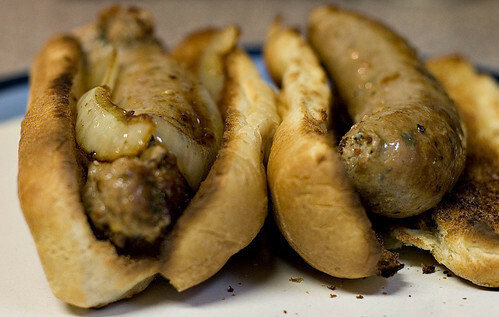 Certainly agree with you about good homemade sausage. 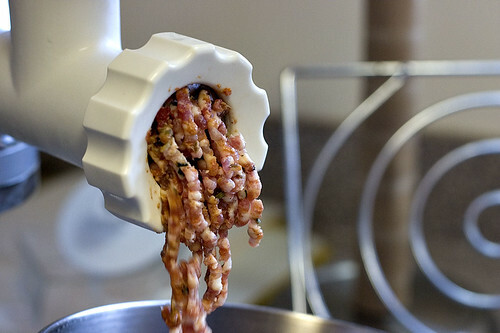 Our meat grinder and sausage attachments for the Kitchen Aid are the most used items in the kitchen. We love many sausages, but venison and Italian are two of our favorites, and we VERY rarely eat commercially-made sausages. We don’t trust what may be in them. Hi. Came over from tastespotting. 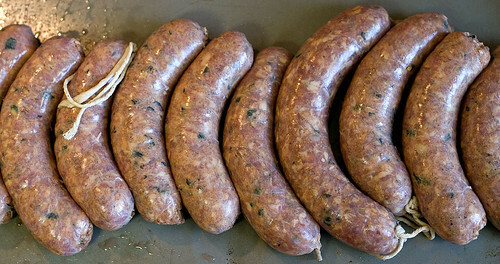 I am just starting to make sausage. How long will homemade sausages keep? Do I need to keep in freezer or fridge? Your blog looks very yummy. Sausage will keep somewhere around a week in the refrigerator. It depends on how old the meat is that you make the sausage with. I tend to make a bunch of sausage at once and then put it in the freezer. It then will last for several months (probably longer). That, of course, assumes you don’t eat it before then. Wow! What a great job you did on these! Brava!! Thanks for the kind words. But, with all respect, it should be “Bravo” and not “Brava.” Occasionally, my college Italian comes in handy. Sounds fantastic. Have to try it. 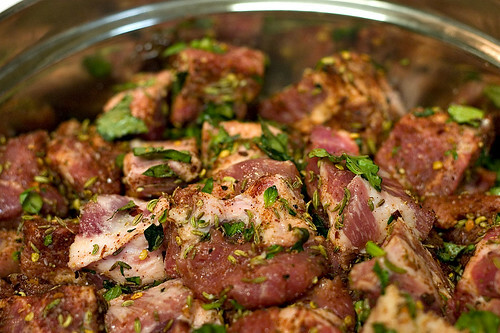 I just used the spice mixture in this recipe to make some turkey sausage and it was perfect. Thanks!